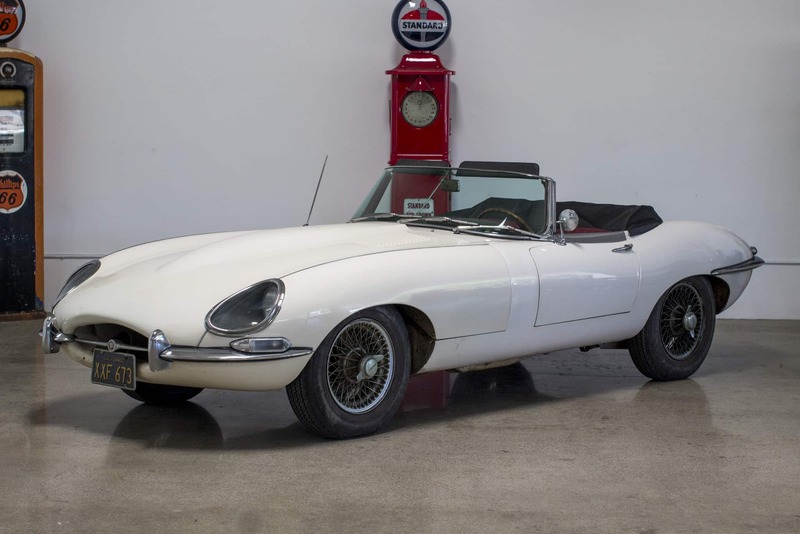 “Survivor” 1966 Series 1 E-type 4.2 liter Roadster: Stored inside a dry garage outside Palm Springs, California, since 1972; 60,277 original miles; 100% solid-original metal; original interior; excellent solid factory floors; all numbers match (per Jaguar’s Heritage Certificate); not started or driven in 46 years. A true time-capsule car, virtually untouched from original condition (some areas repainted 5 decades ago). Engine turns freely, we chose not to start it to preserve its current untouched state. We go to extents to document our cars in pictures and provide the most transparent listings on Ebay. Please study the pictures carefully rather than requesting descriptions. Please complete any inspections or ask any questions prior to bidding or committing to buy the car. Thanks for the interest!